As we all know, two days ago Apple has released the iOS 4.3.5 update to iOS 4.3.x an unexpected update, to fix the minor security vulnerability with certificate validation. As we have already recommended you not to update to iSO 4.3.5, because it only comes up with fixes and also fixes your jailbreak. If you update your iOS device to latest, than you will lose your jailbreak and also unlock if you didn’t preserve baseband. 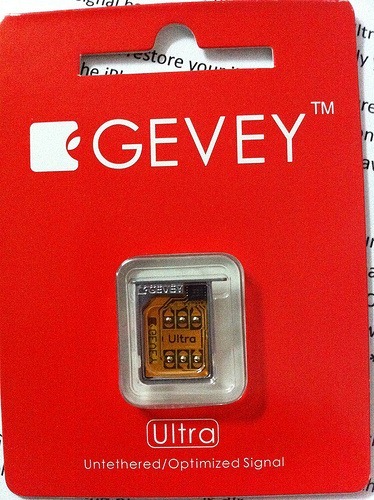 But if you are user of hardware based unlock “Gevey SIM”, than we have a really good news for you! A user reported that he successfully managed to unlock and jailbreak its iPhone 4 on iOS 4.3.5 using Redsn0w and Gevey SIM, as we have reported sometime ago, Apple has fixed the Gevey SIM in iOS 5 beta 2 baseband, but if you always update your device while preserving baseband than you could easily get unlock on all iOS version with Gevey SIM.